Welcome to the PBS Biotech® press room. 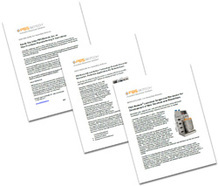 The links below will provide you with our latest product press releases for our single-use bioreactor products as well as significant information and events relating to PBS Biotech. Should you have any questions or require any additional information about any of the press releases in the press room, please contact us at info@pbsbiotech.com.